Hello, welcome to L. Robinson-Condeso Ministries, Inc. Faith and Prayer Partner's page, we thank you for stopping by. We would like to ask you to become a partner with us as we endeavor to reach the lost, and hurting throughout this world. Those of whom are to be a part of this end-time harvest. Our goal and prayer is to reach souls and hurting people, meet the needs of the ministry and expand. Your help and your prayers will be greatly appreciated. You may become a Faith and Prayer Ministry Partner with us on three levels. All we ask is that you do your best. Giving helps us to help others. So give your best as the Holy Spirit leads and know that all will be appreciated. 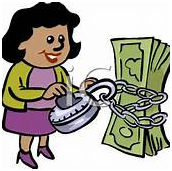 UNLOOK THE CHAIN ON YOUR MONEY!!! LEVEL I - $20.00, PER MONTH and receive monthly Newsletters Updates. LEVEL II - $50.00, PER MONTH and receive a Free Book, LEVEL III - $100.00, PER MONTH and receive an eBook, or CD. God's Riches Blessings upon you for your giving. 38 Give, and [gifts] will be given to you; good measure, pressed down, shaken together, and running over, will they pour [a]into [the pouch formed by] the bosom [of your robe and used as a bag]. For with the measure you deal out [with the measure you use when you confer benefits on others], it will be measured back to you. Remember, we love you and appreciate you.